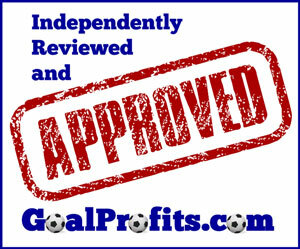 way to make £100's of profit from football betting with very modest stakes and minimal risk. Who Am I? And why should you listen? My name's Paul Ruffy and I've been helping people make money from their betting since 2006. As a professional horse racing tipster I made a profit every year for 9 years. I've recently started profiting from football too and sharing my advice to an appreciative audience. In my career both a punter and a tipster I've tried just about every approach to football betting. Tips and systems covering: niche markets, in-play systems, correct score systems, laying systems, singles systems, over/under systems, you name it! All seemed a lot of work for very little profit – if any. A little while back I decided to take a concerted look at what I enjoyed watching... The Premier League. Anything that shouted “value” to me. What I found was that although it is possible to come out on top using the standard principles of Statistical analysis, Price Analysis and Form Analysis. On top of this there was one thing that I had to do that would prove to be the “secret sauce” to my success. But I’m getting ahead of myself…First lets look at whats happening in the world of football betting.. 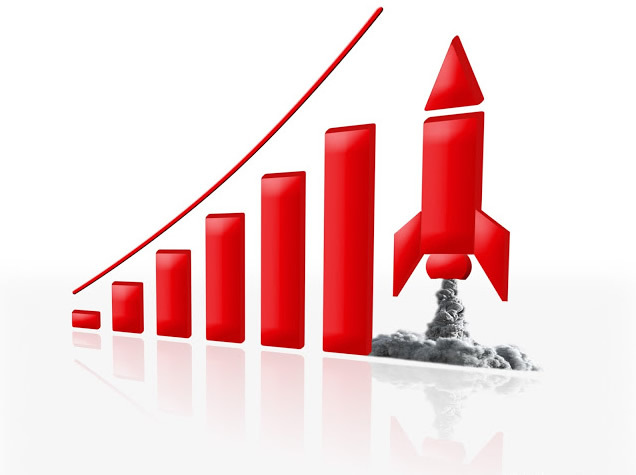 In 2010 the reported (UK Online Football Betting Turnover) was £4.1 Billion which increased had increased to £7.8 Billion by 2013 and is now estimated much higher still. This boom has sparked a frenzy in the bookmaking industry as they are DESPERATE to get their share of this betting bonanza. Now as an informed punter, I know I don’t need to tell you that the majority of punters are losing money. So with this growth the bookmakers are literally falling over themselves in a rush to get more of these “losing” punters on their sites. How are they doing this? They are going out on a limb to not only offer you the best odds and range of markets - but the best concessions – often CRAZY concessions. Concessions that its virtually impossible to lose with, provided you know what you are doing. So back to that secret sauce. The one thing that I did that would super-charge my football betting was to make full use of the bookmaker specials, enhanced prices and concessions. Bookies can be sneaky cretins. If you've bet on football at all over the last year or so you'll no doubt have seen many bookmaker promotions, offers, prices, specials and concessions all designed to tempt you to bet with them, and they may seem fairly interesting and inoffensive. There is a lot of smoke and mirrors going on in the war to get your business and what you’ll find is that most of the offers represent no significant value to the punter whatsoever, are not worthy of your attention, and certainly not your hard earned. One of the better concessions involves accumulator bets –That’s how I've got a return on 57% of my accumulator bets over the last three seasons. You see a number of bookmakers will give you your money back if one selection lets you down. So whilst I've managed to do very well and win 20% of my accumulators, another 37% of my bets had one losing selection, which ordinarily would mean they were losers, yet thanks to this concession - I got money back. That’s all well and just using this one angle, could serve you well. But like I said the bookmakers smoke n mirrors can mean that you easily fall into the traps they lay out to snare punters - and therefore finding the right bets to place with the right firms requires considerable time, discipline and knowledge. Over the last 3 years I've not only found where and when to find the best bookmaker specials, enhanced prices and concessions. But I've also developed a unique “targeted” set of strategies and techniques to maximise profits from each and every one. Now I know you may see a lot of offers and some of them are ALL hype. I hate hype as much as you. But in more than a decade of betting profitably, this is hands down the easiest and quickest way I've found to generate football betting profits. It is THAT powerful. On top of that - it is certainly the most fun! 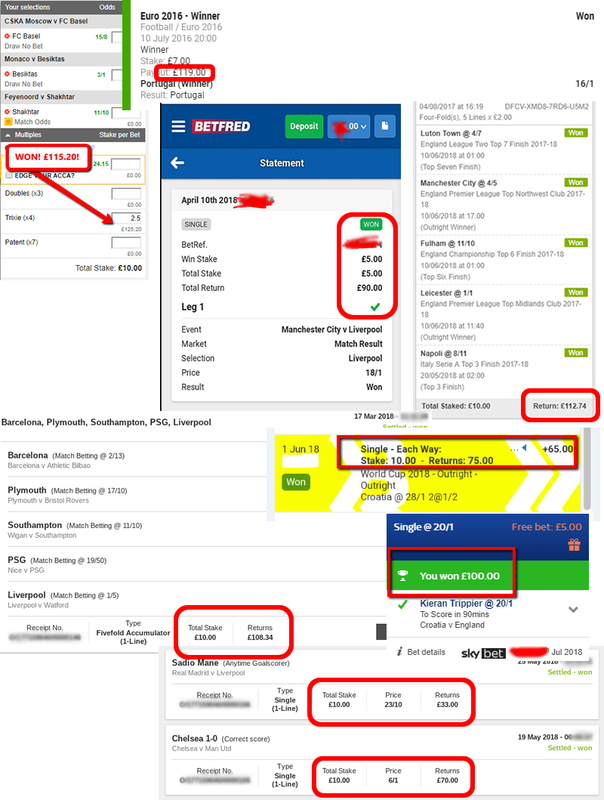 Over the past seasons I've banked easy profits of £2302, £1227 and £1830, all betting to just modest stakes, in a sustainable manner with just modest stakes of between £2 and £20. Not every bet is a winner of course, but by betting only at value prices and taking advantage of range of bookmaker specials, enhanced prices and concessions. alongside real Statistical Analysis and Form I'm able to make a significant additional income, remembering of course that this is all TAX-FREE. But look lets not get carried away; I'm making no "income guarantees". What I am offering is the chance for average punters using modest stakes, to accumulate decent profits betting alongside me, as I target these “easy” profits week in week out. full access to my personal football bets. Why am I so sure that you will profit if you “copy” my bets? At Enhanced terms or enhanced price. Stand-out value prices based on statistical analysis and form. Using the exchange markets to hedge bets. All of this adds up to taking VALUE prices and an overall LOW RISK and sensible approach to football betting. I’ll share this approach IN FULL so all you’ll need to do is follow my handful of bets each weekend. Simple to follow. I provide you with my exact bets every week in an email and on a member’s only blog. Small Stakes. Most bets I place are between £1 - £20. Very Low Risk. Very often your stake isn't even at risk because of the concessions or terms of the bet! Now there are already a lot of people signed up based on my previous success and I expect that many more will want to be part of this genuine opportunity to profit. But this season I will only be allowing a maximum of 100 people to join me on this. I'm basically doing this service for fun, and I can’t really handle many more people that that, nor do I want to too many people making the same bets which could upset some bookmakers! Paces will be sold in a first come first served basis. Right now I'm offering a full season, 12 months pass for just £127. The last two seasons we've more than covered this investment with just one ante-post bet alone and made lots, lots more on top. So why such a low price? Well look I'm doing this anyway, literally for fun -and I want it to be fun for everyone else too without the need to worry about initial outlay or recouping it by staking too high. You're based in the UK or Ireland. You enjoy watching/betting on football. You can bet with most UK bookmakers without account restrictions. You're happy to open accounts with bookmakers if you don't already have accounts. Are able to place bets in the hours before Kick Off, for example Saturday mornings. Might not be for you if..
You're based outside the UK and don't have access to UK bookmakers. You're looking for something to make you wealthy. You're restricted with most UK bookmakers (See Q & A below). You only ever use one bookmaker and wont change. Sign up today and trial my service risk-free for 90 days, if you are not 100% convinced that the service is for you, for whatever reason - I’ll happily and promptly refund your membership fee in full, no questions asked. I can gladly offer you this “100% piece of mind guarantee” because I know that the strategies and selections I advise will easily cover your subscription cost AND make you a whole lot more! You've really nothing to lose and everything to gain! 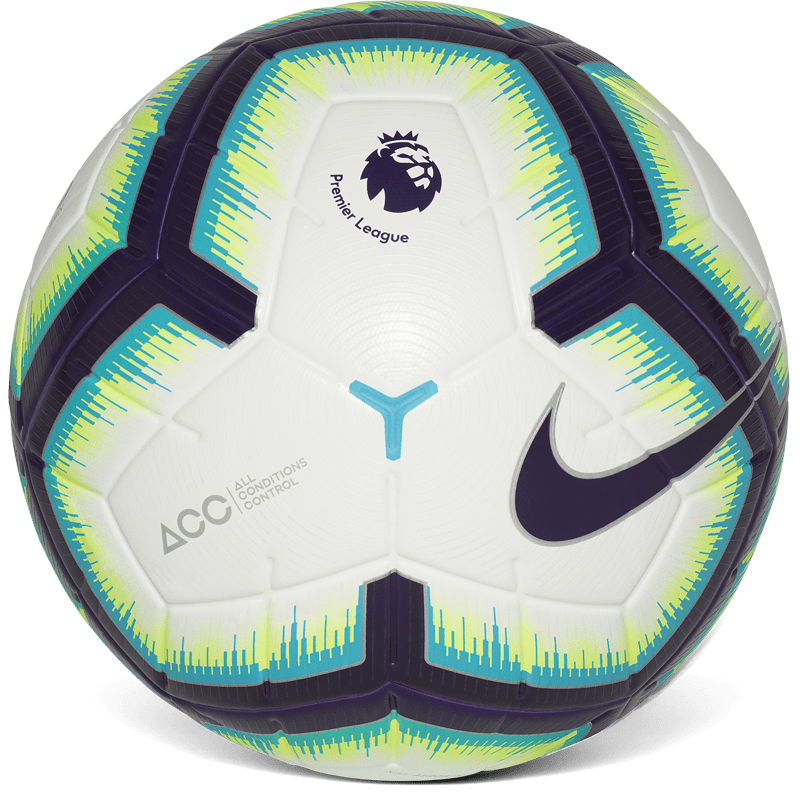 As I said, there's a maximum of 100 spaces this year, however these are being taken daily and the offer will close once the Premier League kicks off on Saturday 11th August at 3pm. So Act now and start benefiting from my highly profitable and exciting service, click the signup button below, and I look forward to welcoming you on board! If there’s a “Let Me In” button below then there ARE still spaces available. Click That now to secure your place. Claim Your Risk Free Annual Pass! You are covered by my 90-day - no questions asked -100% Money Back Guarantee! Sign up today and trial my service risk-free for 90 days, if you are not 100% convinced that the service is for you, for whatever reason - I’ll happily and promptly refund your membership fee/s in full, no questions asked. What do you bet on? 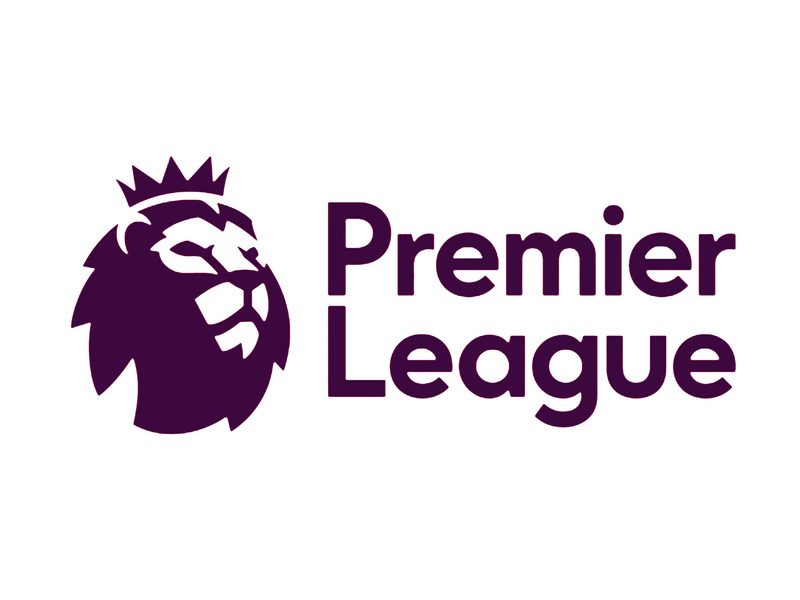 Mainly the Premier League and competitions involving Premier League teams i.e. Champions League, Europa League, FA Cup, etc, but also the top European Leagues as well as International Football. It really depends what's on offer. But mostly Accumulators, Single bets, and sometimes doubles and trebles. When will you advise the bets? I will email you in good time, typically on Friday and Saturday Morning for the weekend bets and afternoons for evening weekday bets. If there's a time limited price I'll email you right away, plus you can also get notifications via twitter. What Stakes do you advise? Stakes advised are my actual bets which are usually between £1 and £30. Sometimes there will be limits if its a promotional offer, but I always advise stakes within the limits. What Bookmaker Accounts will I need? Ideally: WillHill, Ladbrokes, Bet365, Betfred, Coral, Smarkets, Betfair, BetVictor and Skybet plus a couple of others for the very best range of options. If you have been restricted on one or two accounts, you can still profit with my service, but you will need accounts without restriction for the most part. If in doubt email me first. No, I'm doing all the leg work for you. However you may have to find bets in markets you're not used to and likely have to open the odd new account. A large betting bank isn't necessary, if you have around £500 put aside for betting that would be sufficient. I’ll have anything from one or two bets a weekend to six or seven, depending on what’s on offer. Plus Midweek bets if there's a opportunities to profit! My reputation is paramount to me. I pride myself on being open and honest and am only ever advising bets that I’m personally striking myself. Can I do everything on my Smartphone? If you’re reading this on a Smartphone then the answer is probably yes. However placing most of the bets will be much easier on a proper, old fashioned (!) computer. Does it matter where I'm based? If you're based in the UK or Ireland great. If you're based somewhere else then it will be difficult for you to follow a lot of my advice, so I would suggest this probably isn't for you. What I do includes some matched betting to qualify for free bets and other offers. alongside regular bets - everything is based around value coupled with sensible statistical analysis and form. You run a different and unique service, I am more than happy with it, and it's nice that someone doesn't actually push up their price the minute a couple of winners have been tipped. I like the reasoning behind your selections. I'm impressed, just wish that I'd taken the full year deal at the beginning of the season. I enjoy following an Acca or 2 over the weekend and with a young family it saves me the time looking in to bets myself. Oh, and profitable too. Paul's service is absolutely spot on, as described, he's very friendly and very quick to help and answer any questions you may have. If you're already familiar with adding bonus value to your offers, but have no real knowledge or interest in Football itself, then having the confidence to take a small risk with a reliable researcher/tipster to hand, then MDP is it! "Over the last week, Paul's advice has netted his subscribers almost £200..."
"I have made a profit of £1475.."
"Following my retirement ten years ago I have subscribed to many tipping services. What I have never experienced before with any other service, is every month being a winning month since I joined Matchdayprofits in November 2015. I only concentrate on your accumulator bets, but with my own staking plan, I have made a profit of £1475. I have already signed up to another twelve months and look forward to more of the same. 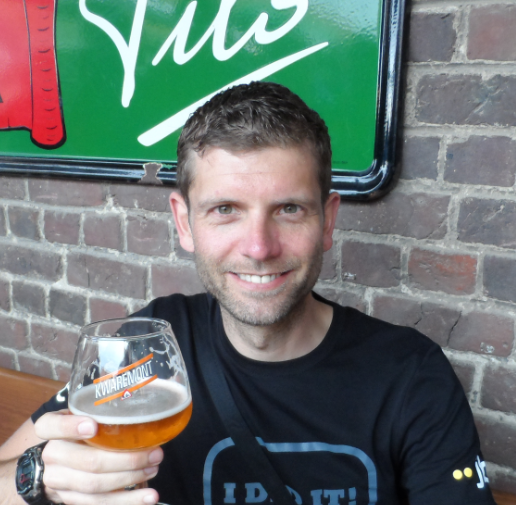 Mr b - a satisfied member! Perhaps the best way I can describe this is to say its like going from betting with your own money and having not much chance of winning, to betting with the bookies money and standing an excellent chance of winning! If that sounds interesting I urge you to get on board today. 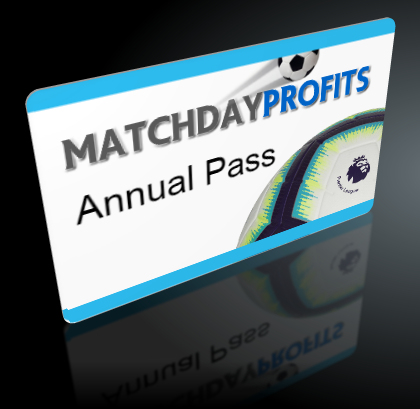 I look forward to helping you make some easy profits on the next match day. P.S. : The online football betting world really is BOOMING. Make sure you claim your share of this "bookmakers betting bonanza" by taking advantage of this offer right now to avoid missing out.